Here are the download links for the latest Capture NX ver. 2.2.6: Windows link | Mac link. Support for RAW images captured with the D7000 has been added. Support for Nikon Message Center 2 has been added. On systems where ViewNX 2 has been installed, Nikon Transfer 2 is now launched when the Launch Nikon Transfer button is clicked or Launch Nikon Transfer… is selected from the File menu. When Photo Effects... was selected from the Filter menu, and the Auto button in the Photo Effects palette was clicked multiple times, the Brightness value sometimes decreased. This issue has been resolved. When a RAW image captured with the D3100 using a Nikon Speedlight was saved in NEF format after adjustments under the Develop section of the Edit List had been applied, and the new NEF image was later opened, the adjustments applied were reflected in the image, but the adjustments and their values were not properly applied under the Develop section of the Edit List. This issue has been resolved.However, even when such images saved with Capture NX 2 Ver. 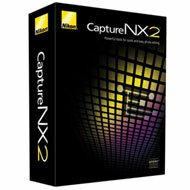 2.2.5 are opened in Capture NX 2 Ver. 2.2.6, adjustments will not be properly applied. Adjustments must be reapplied using Capture NX 2 Ver. 2.2.6. When NRW images captured with the COOLPIX P7000 and a Nikon Speedlight were opened, Capture NX 2 quit unexpectedly. This issue has been resolved. "It has come to our attention that a website called “Imagemixer.net” is attempting to sell Nikon software keys. This web site is not an authorized dealer and is not affiliated with Nikon Inc. in any way. Nikon Inc. cannot assist with any license keys sold by this site and cannot replace any non-working keys without proof of purchase from an authorized dealer. To locate an authorized dealer see our Where to Buy page. The only web site authorized to sell software keys alone (not boxed copies of software) is the Nikon Mall. To ensure that you receive a legal, authorized license key for Nikon software which Nikon Inc. can support please only purchase from an authorized dealer."